Are you ready for some water filled fun this summer? Brilliant for the hot weather, Wet Head is a roulette game that soaks losers with water following a nerve-racking quiz or truth-or-dare game. 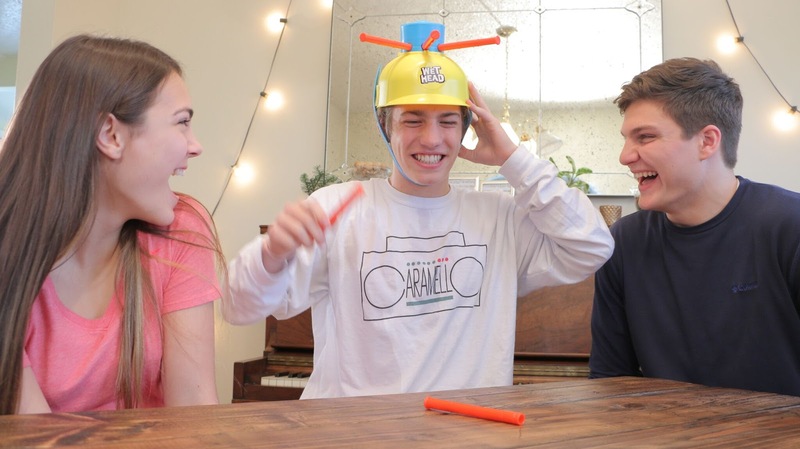 Leading YouTubers’ have been taking the Wet Head Challenge and we will be youtubing our family challenges too! I've got a Wet Head game pack to give away to one lucky Mellow Mummy reader so that you can share the fun this summer. 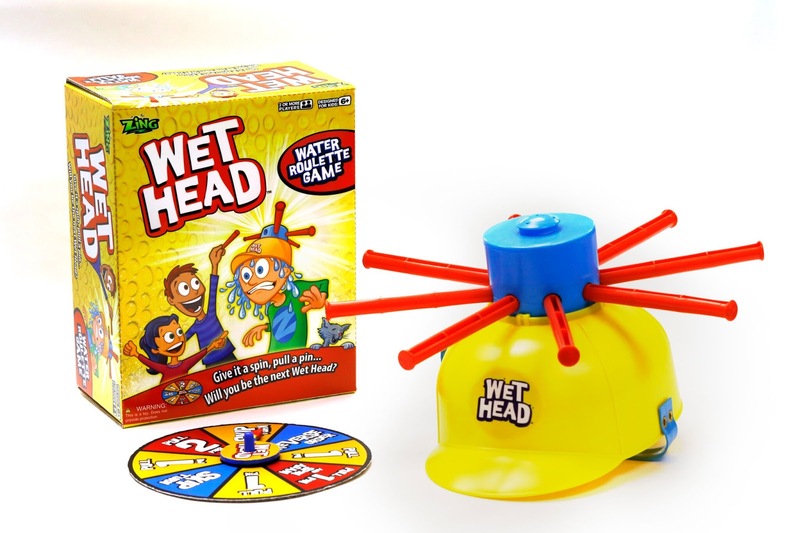 Take your chances with Zing’s new water roulette game, Wet Head! Grab some friends and family, fill the Wet Head with water, strap yourself in and give it a spin. Ready for a twist? Players have the option to play with the included spinner or download the free Wet Head Challenge app and ask each other trivia questions. You can dream up lots of different ways to challenge your own family and friends by setting challenges or questions of your own! Any way you play, you might just get soaked! Wet Head comes with one hat, eight pins and a spinner. It is available to buy now for a RRP of £19.99 and is suitable for ages 4 and over. To be in with a chance of winning a Wet Head game pack from Zing, all you have to do is to leave me a comment below with an idea for a challenge or question you would set for your family. The competition closes on the 24th June.